Classicism is reinvented in this marvellous princess wedding dress in satin, also available in mikado, with very trendy and fresh touches. 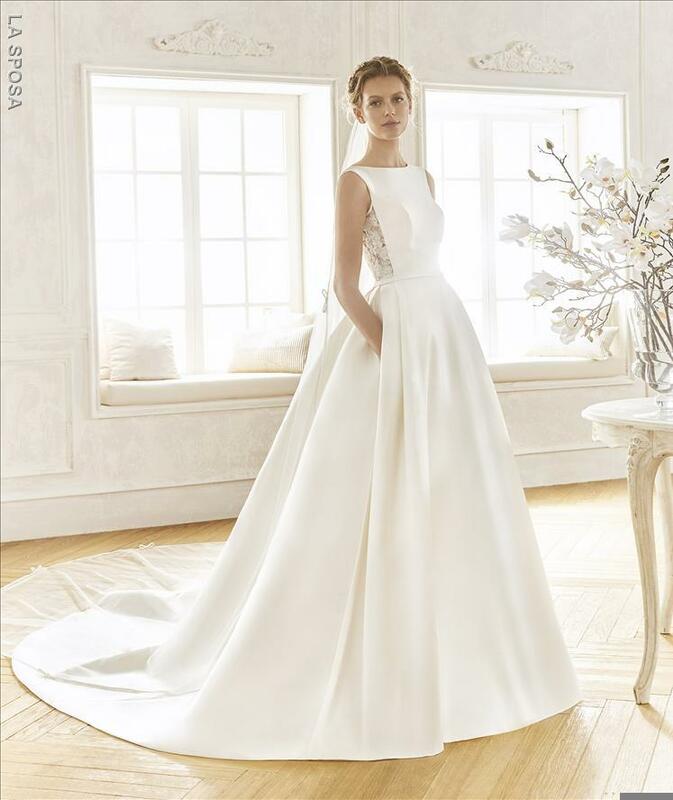 This gown has a stunning princess skirt with pockets and a long train. The form fitting bodice has a flattering bateau neckline, waistband detail in satin and a gorgeous sheer back in illusion tulle with lace appliques with thread and rhinestone embroidery. This gown is amazing!